The majority of people in Myanmar believe in Buddhism but there are small percentage – 6% are Christianity. 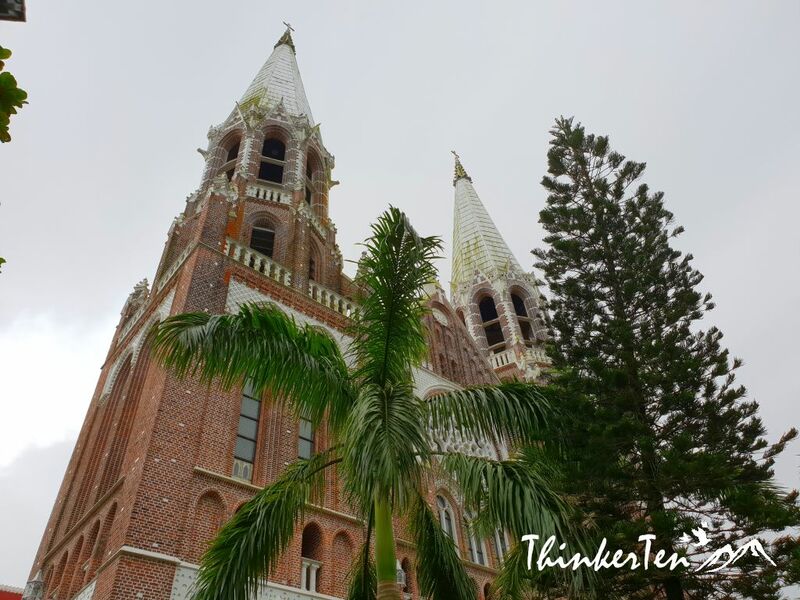 One of the important church in Yangon is St Mary Cathedral and it is an unexpected gem in downtown Yangon. We get off from circular train ride Central station and walked for about 15 mins to reach St Mary Cathedral. 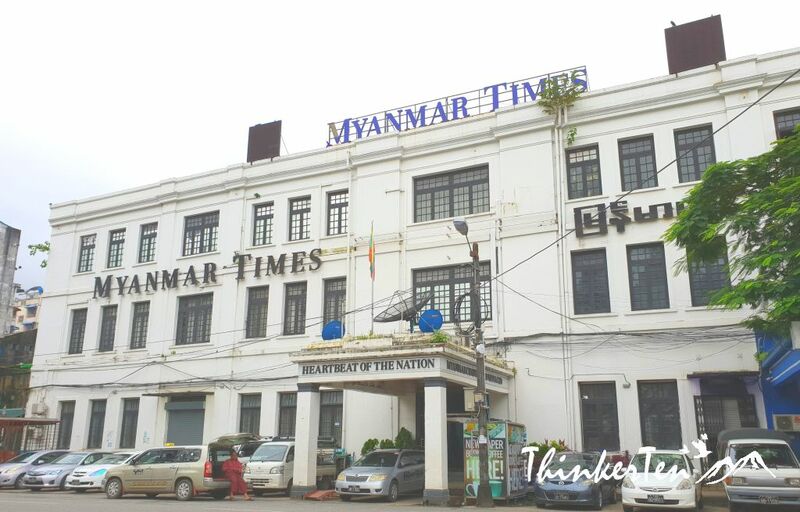 St Mary Cathedral is located opposite of a huge white building, Myanmar Times ( English Newspaper), but a little wear off if you look clearly. 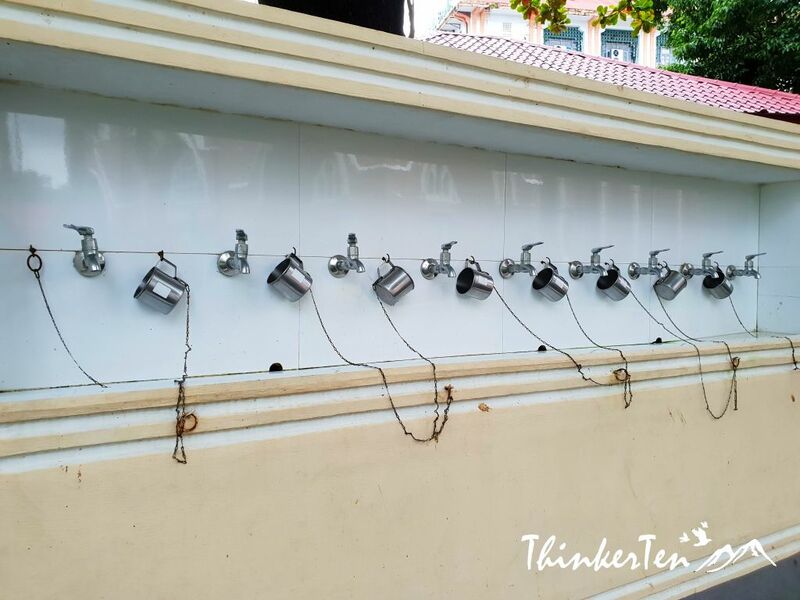 Many of the buildings in Yangon are run down, old and dirty, be it apartments, shops or even Colonial buildings in the downtown Yangon. If you go further away from the downtown, (on the way to Bago, ancient capital of Myanmar)you see homeless people living in temporary shelter where they hang clothing on fences and cook with small stoves. The country is just open up it diplomatic relations and tourism a few years ago. We shall give the country some time to revamp and have a better face lift. 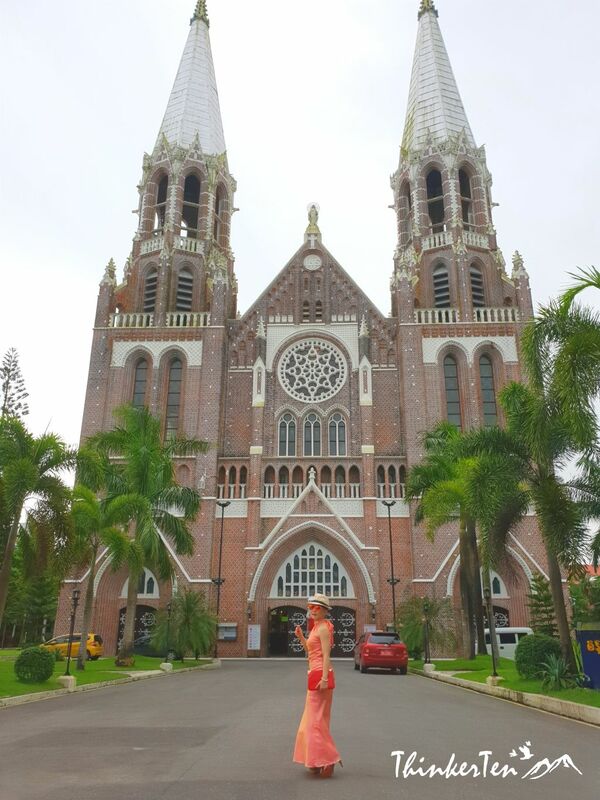 St Mary’s Cathedral is the largest in Myanmar which was constructed in 1895 and completed in 1899. It is certainly worth a short visit as it is also very near to Bogyoke Market/Scott Market. It is quite impressive upon entering the Cathedral complex. The size is huge & impressive, it includes French stained glass window vaulted ceiling way above and intricate hand painting of the brickwork. Glad it was open when I visited. Do check out the operating hours. The architecture is gothic style where you see sharply pointed spires and ogival or pointed arch. The interior is also very colorful. This cathedral is special from the rest of the world as one have to take off the shoes before entering and pray with barefoot. 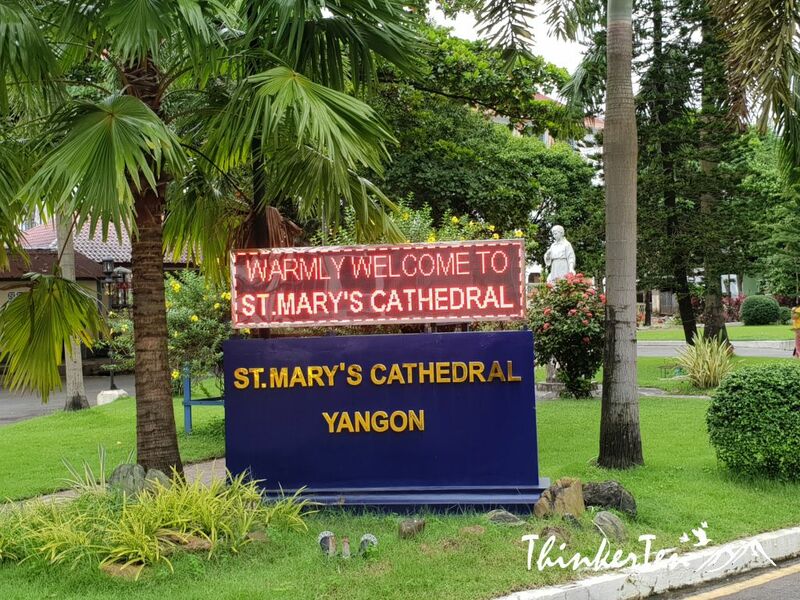 Catholics are only tiny percentage but there are almost 1 million Catholics out of the 52 million of whole population in Myanmar. Catholics are also the second largest religion after Buddhism. If you have seen many cathedral in Europe there is nothing too special for St Mary’s Cathedral. However I still encourage you to do a little stop when you are in downtown Yangon, it is very near to Bogyoke Market/Scott Market. 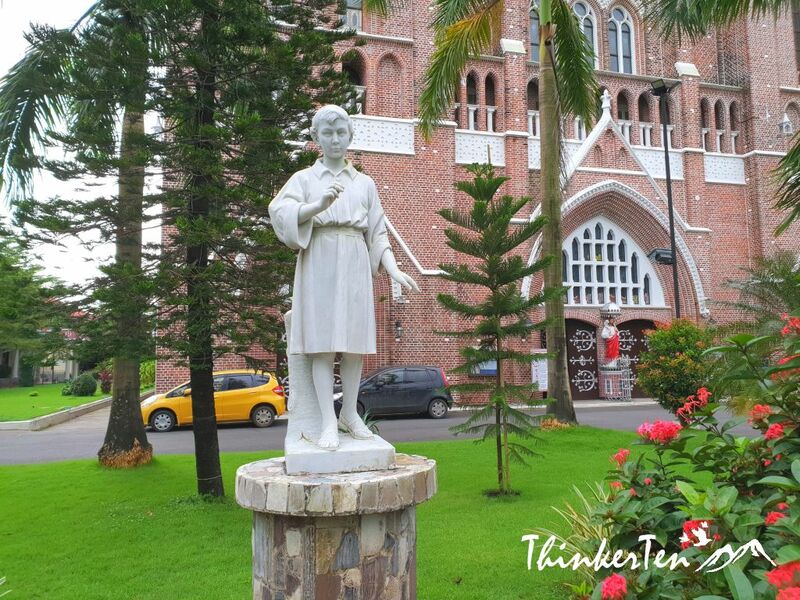 You feel completely peaceful upon entering the St Mary’s Cathedral complex. It is also very clean with neatly trimmed green lawn. 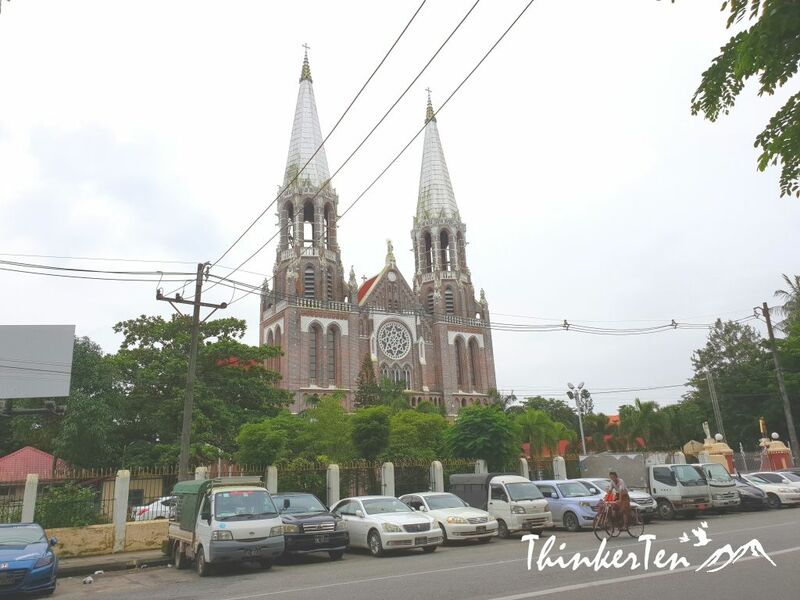 I would say St Mary’s Cathedral is an oasis in the downtown of busy traffic & crowded sidewalks of Yangon. Oh my- that is such a beautiful cathedral. The architecture is just stunning. Oh my gosh! Stunning! Absolutely stunning! Your pictures capture the cathedral so well! It is not easy to shoot the catheral as the facade is very high and huge with my little handphone. It really is a stunning cathedral! I actually had no idea that there were Christians there too! 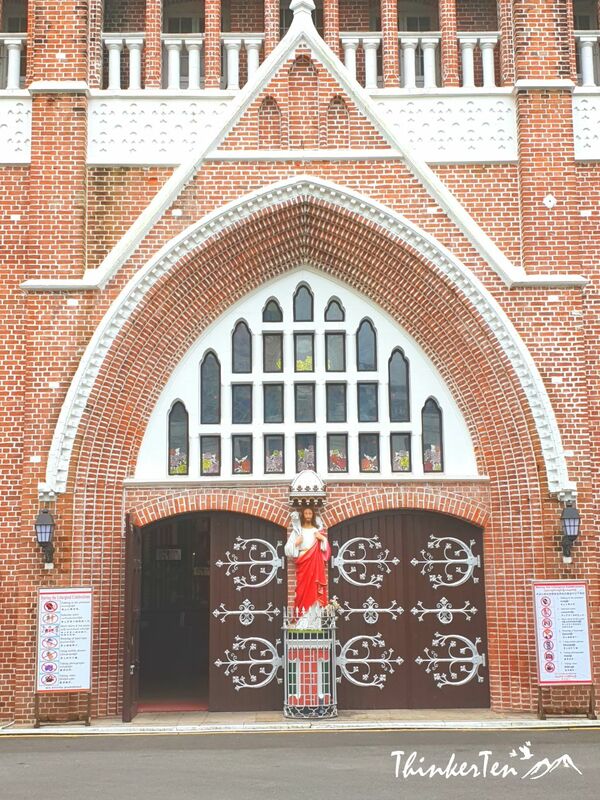 Majority are Buddhism and a small portion of 6% Christian in Myanmmar so it is a rare sight to see such a beautiful church in this country. That is so lovely. Cathedral has a love architecture. How did you shoot it because it is so high? Your shooting skills are amazing. Wow! The interior of that church is truly mesmerizing! I haven’t seen anything like that! Beautiful churches! The colors in the cathedral are very unique. What a fun place to visit. What a beautiful cathedral it is! Your images are well captured and I appreciate you sharing these thoughts to us. How gorgeous! What a beautiful city and Catholic church. 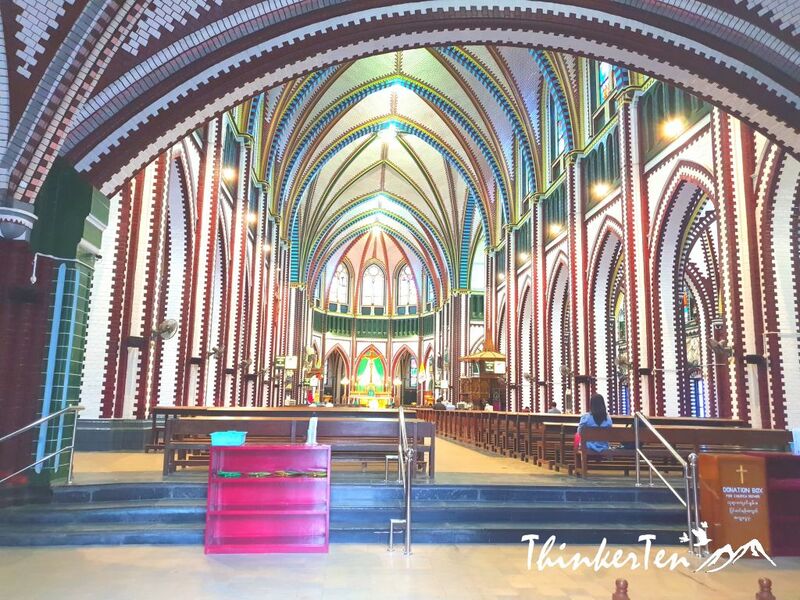 It is quite unusual to have found a stunning cathedrals in the heart of Yangon, a city full of Buddhist followers. My word, that cathedral is just breath taking. I had heard of St. Mary’s cathedral before. It is spectacular. I love the structure, and the glass window panes and art are amazing. Breath taking! The interior is to die for! Love the colors of the glass window panes and art structure. Yes, it is very colorful interior. Interesting thing is one need to take off the shoes before entering the cathedral to pray. I have never been to Myanmar but I always wanted to visit. Such a wonderful place.